The number of hate crimes reported to police in Peel Region jumped by 63 per cent in 2017 compared to the previous year, with a more than 90 per cent spike in hate crimes targeting Muslims, a Peel Police Services Board report reveals. New data released Thursday shows there were 158 incidents reported to police that year — up from 59 the year before. The majority were mischief-to-property offences, like graffiti, that accounted for 106 of the total number of incidents. Peel police believe two suspects are responsible for approximately 60 per cent of them. "In some ways it wasn't necessarily a big surprise," said Det. Feras Ismail of Peel police's diversity, equity and inclusion bureau. "The numbers are reflective of what we're seeing." Ismail believes the spike is partly due to an increase in police training that helped officers understand how the Criminal Code defines hate crimes. He adds that public awareness was another factor that empowered people to come forward, leading to an uptick in reports. "This is a step in the right direction," he said. "We need to know about these files; we need to know how to deal with them, and also how to reassure the public from a public safety perspective that they're safe and that we're looking into these matters." The rise of alt-right movements, both internationally and across the country, also played a role, he explained. While this increase is alarming, Ismail noted the number comprises 0.4 per cent of all crimes in the area. Toronto also saw a jump in hate and bias incidents in 2017. Hate crimes motivated by religion continue to account for the majority of occurrences in Peel Region. The most dramatic shift in the report was the number of anti-Muslim incidents, which a 91 per cent spike from the previous year where there were only five incidents reported to police. "It's a difficult one to comprehend," said Ismail. "A lot of this is dedicated to the far-right movement and some of the information they broadcast and some of that rhetoric." Dilnawaz Qamar, a family support counselor at Brampton Multicultural Community Centre, said she has noticed a rise in alt-right groups in Peel Region. "People are too aggressive about their ethical beliefs and they just want to pressurize others because of their own beliefs," she told CBC Toronto. Last summer, a Mississauga man was charged with one count of wilful promotion of hatred against an identifiable group after he posted a YouTube video offering a $1,000 reward for recordings of Muslim students during prayer. 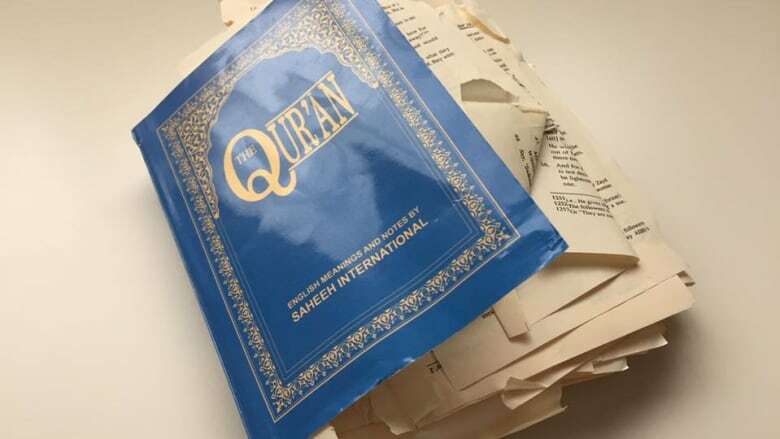 Prior to this, in March 2017, pages of a Qur'an were ripped up as part of a protest by several people at a Peel District School Board (PDSB) meeting. The incident was in response to a 20-year-old policy allowing Muslim students space to pray at school on Fridays. Then in April, a Mississauga imam was the target of online threats after working with the PDSB on religious accommodation issues. Peel police Chief Jennifer Evans called these hate-motivated incidents "troubling" at the time, and noted a "growing concern" among the Muslim community. "Everyone should know hate-motivated incidents violate our feelings of safety and security and should not be tolerated," she said. "It is critically important to strengthen relationships and awareness between religions, and communities." The number of incidents targeting Jewish people also rose to 36 in 2017, compared to 23 the previous year. "Anti-Semitic sentiment has risen over the years," said Ismail. The results of the 2017 Hate/Bias Motivated Crime Report are set to be discussed at the Peel Police Services Board meeting on Friday.